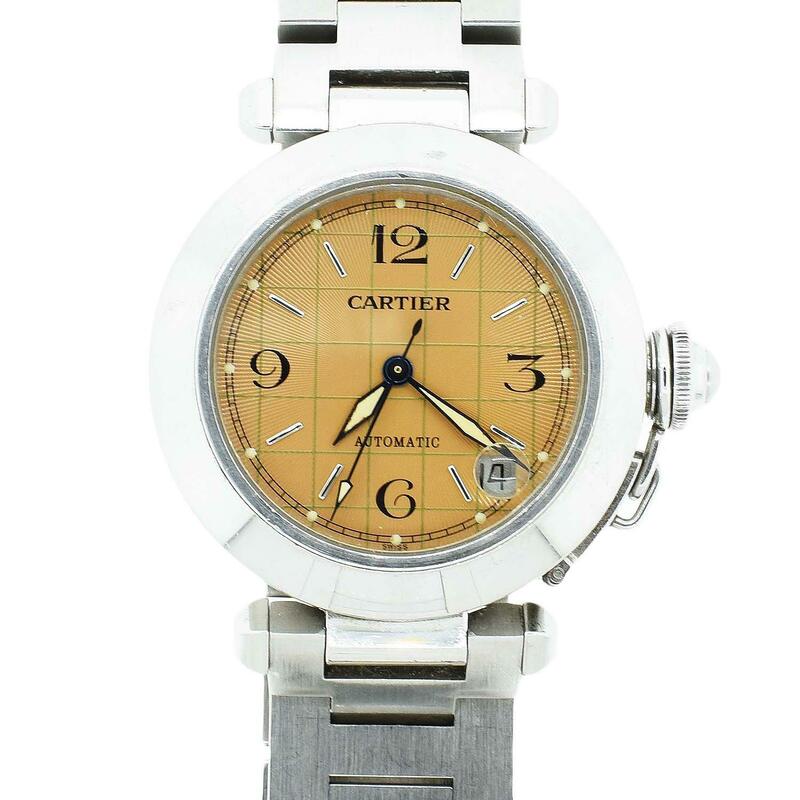 Cartier Pasha stainless steel date watch. Bracelet measures approximately 6-1/2 inches. Face measures 1-1/2 inches diameter.